Gallup came out with its State of the States report last week. The report is based on interviews with nearly 200,000 Americans from across all 50 states. The results are based on how the interviewees rank their own life evaluation, emotional health, work environment, physical health, healthy behaviors and access to basic necessities. 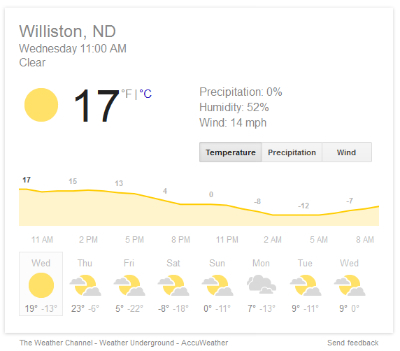 So what’s so great about North Dakota and her frigid friends in the Great Plains? 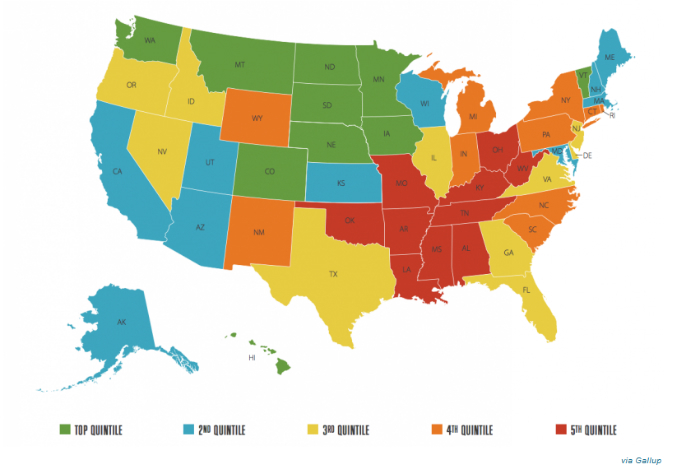 North Dakota scores highest on the Work Environment and Physical Health indexes. This really shows the power of a purpose. People are happiest when they have a job to do. We might fantasize about a life of leisure on some distant beach or about the bright lights of a big city, but what actually makes us happy are the quieter joys of a paycheck and, as the French would say, a raison d’etre. If our overall happiness is, in large part, derived from fulfilling our basic needs, shouldn’t that same concept apply to your business? If you can fulfill the basic needs of your customers and your employees, you’ve already won. So whether it’s focusing on the six basic needs of a typical customer or ensuring fast and reliable phone and high-speed internet service for your employees, you too can be a North Dakota. And, while that 5-day forecast doesn’t look good, the future is bright!